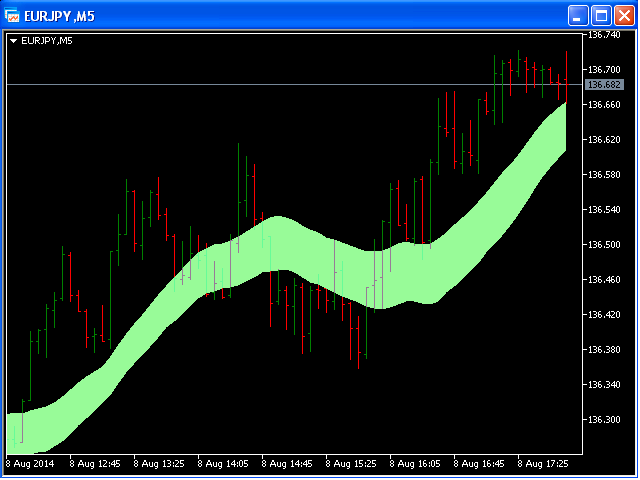 The input parameter counted_bars determines on how many bars the indicator lines will be visible. 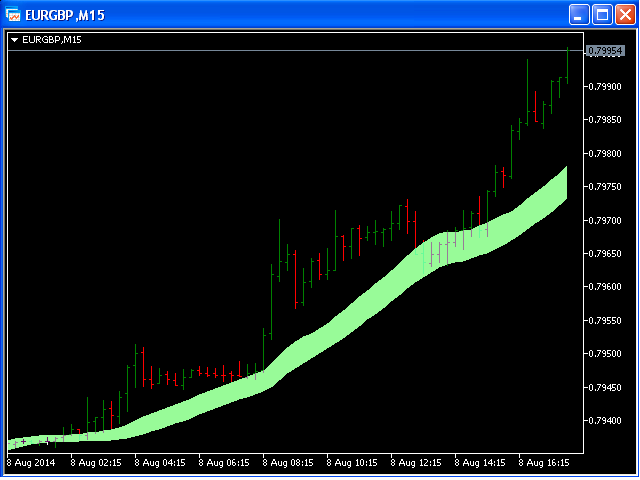 The input parameter barsNum is the period for bands calculation. 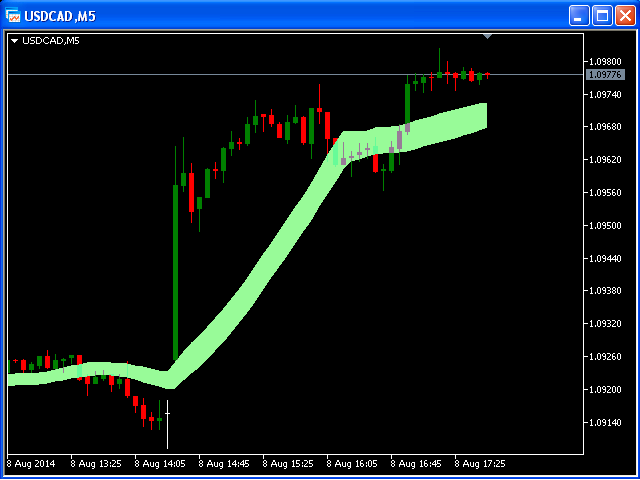 When PriceClose for previous bar is above upper band a Long position may be opened. 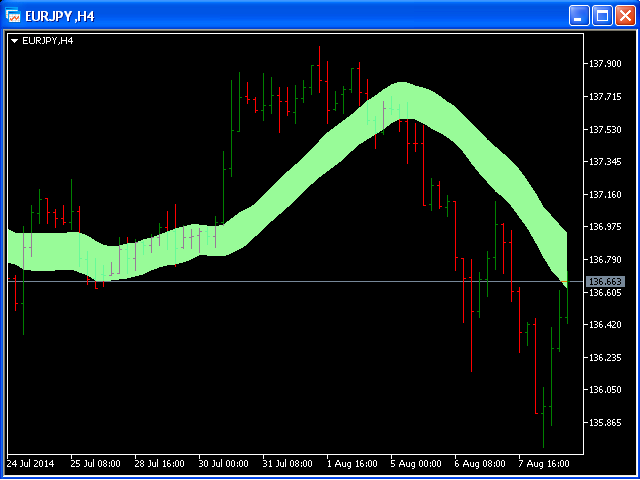 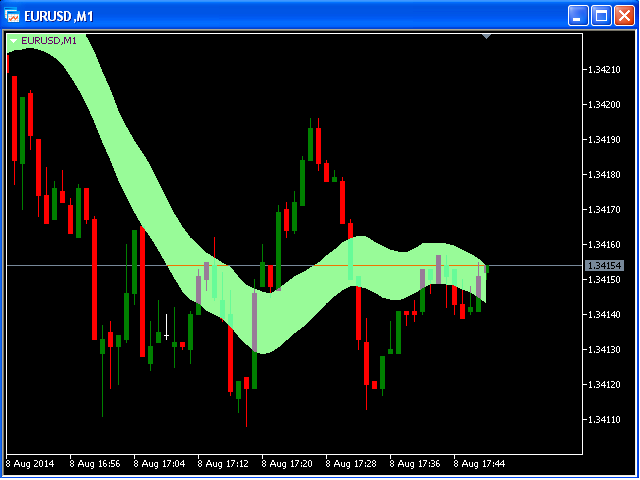 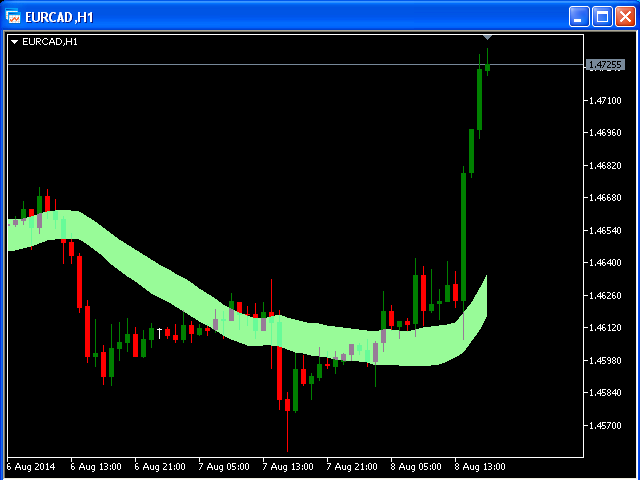 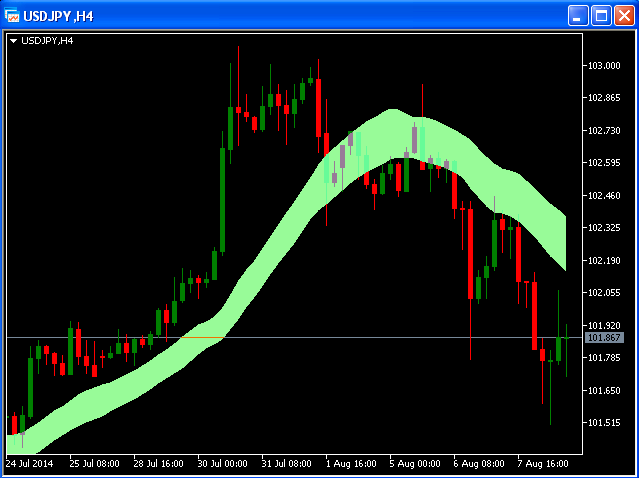 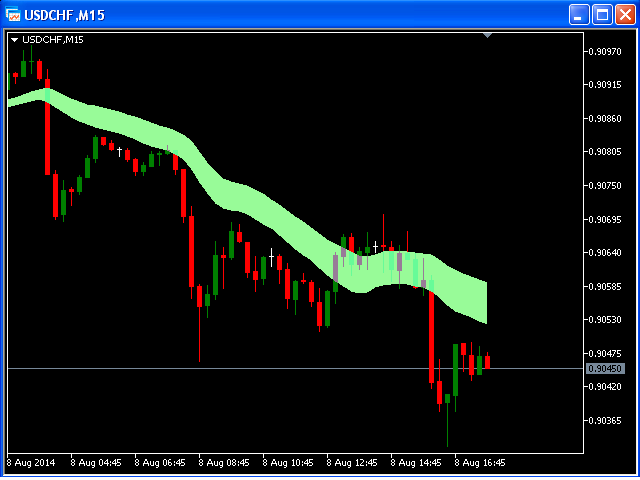 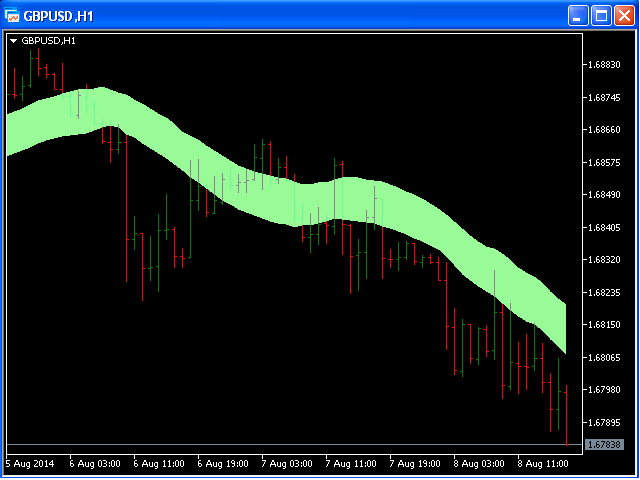 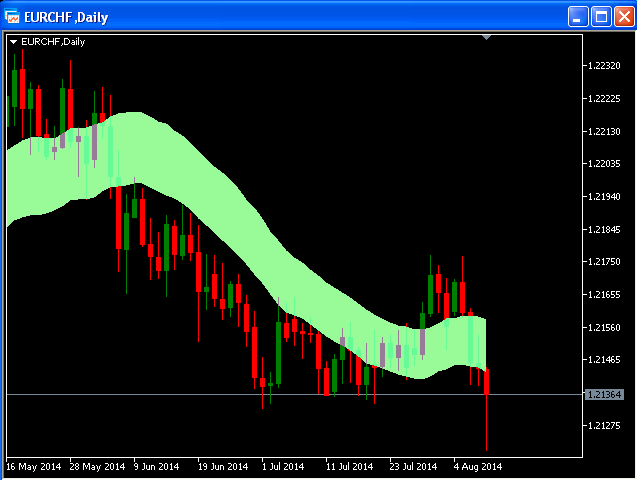 When PriceClose for previous bar is under lower band a Short position may be opened. 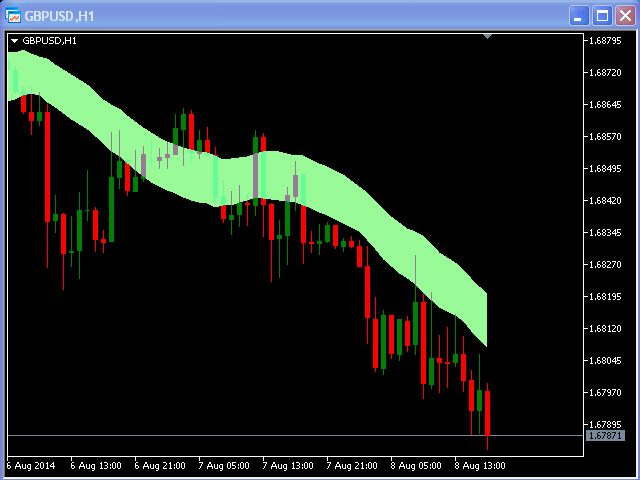 If the current Price is between bands it is time to wait.